Meet the members of the Law Office of Jerry Rutledge, located in Stokes County, NC: Jerry Rutledge, Alexander Rutledge and Yvonne Rutledge. The Law Office of Jerry Rutledge specializes in all aspects of Real Estate Law from closings to representing landlords and tenants in disputes. We handle all types of traffic offenses from misdemeanor traffic infractions like speeding tickets to more serious charges like DWI. Jerry Rutledge’s practice encompasses all areas of Estate Planning from the preparation and execution of wills and trusts. Alex Rutledge’s practice focuses on all types of criminal defense cases, including but not limited to felony assault crimes, drug crimes, and white collar crimes. In addition to the services of two experienced litigators we have Yvonne Rutledge on staff for full tax services and preparation. We are known as a well-balanced law firm, providing a broad range of services to our clients. We offer more than 45 years experience in significant legal positions ranging from private practice to the office of District Attorney. Attorney Jerry Rutledge is a lifelong resident of Germanton, North Carolina. Jerry received his primary and secondary education in the public schools of Stokes County. After graduation from Walnut Cove High School in 1962, Jerry attended the University of North Carolina at Chapel Hill where he received his degree in History in 1966. Jerry went on to graduate from the School of Law at UNC-Chapel Hill in 1969. Jerry was admitted to the North Carolina Bar in August of 1969. As a young man growing up in Germanton, Jerry learned the value of hard work and commitment to help others. Following law school, Jerry entered the Marine Corps Officer Training School and was commissioned as a Second Lieutenant. From 1969 to 1973, he Jerry served the United States of America honorably as a JAG officer. 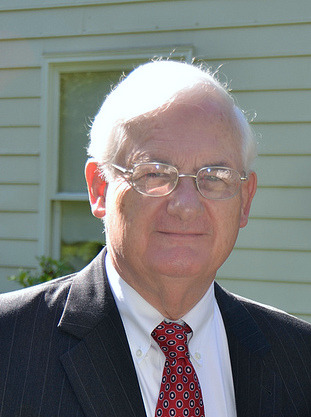 Following his service in the Marine Corps, Jerry worked on the staff of the North Carolina Attorney General in Raleigh in the Utilities Division from 1973 until 1975. From 1975 until 1978 Jerry served as an Assistant District Attorney in the Seventeenth Judicial District of North Carolina, serving Caswell, Rockingham, Stokes and Surry Counties. Carolina. Since that time, Jerry has successfully worked with his clients to serve all their criminal, civil, and estate planning needs. Jerry and Yvonne, his wife of 45 years, have lived and served in the community where they work. Jerry and Yvonne were both instrumental in the completion and publication of the two volumes of the Stokes County History Book. Jerry is currently a member of the Board of Directors of the Walnut Cove Senior Center. and a member of the Sons of Confederate Veterans. He has been an active member of the Stokes County Historical Society, the Stokes County Trust and the Stokes County Arts Council. Jerry and Yvonne are the parents of two adult children, Caroline and Alex, and the proud grandparents of Lucy and Oliver Armijo. The Rutledge family are active members of Friendship Baptist Church in Germanton. Alex Rutledge joined his father’s law practice after graduating from the University of Denver College of Law in 2002. Alex grew up watching his father fight for his clients and community. Following in his father’s footsteps, Alex graduated from the University of North Carolina at Chapel Hill in 1999. During his studies abroad Alex became proficient in Spanish, a skill he uses to support his clients who are bi-lingual today. Alex specializes in criminal defense litigation, civil litigation, and all aspects of real estate law. He has handled a broad range of felony and misdemeanor cases. Alex is a member of the North Carolina State Bar, the Forsyth County Bar, the North Carolina Bar Association and the Advocates of Justice. In addition to being a zealous advocate in the courtroom for his clients, Alex also uses the most up to date technology to support his clients’ interest. Alex’s community activities extend beyond the practice of law; he has been on the board of Stop Child Abuse Now, SCAN, since 2004 and a member of the Board of Directors of the Buffalo Creek Literacy project since 2008. Both Alex and his father remain avid supporters of Tar Heel athletic teams. Yvonne Rutledge is an integral member of the Rutledge Law Firm, working side by side with her husband and her son, on issues that affect the firm’s clients. Yvonne was born and raised Northern Forsyth County. After graduating from Northwest High school in 1961, Yvonne pursued her degree in mathematics from Wake Forest University. Yvonne received her BS degree from Wake Forest in 1966 and then received a Master of Arts in Teaching degree in the field of mathematics from Duke University in 1968. While pursuing her graduate degree, Yvonne married Jerry in 1967 while he was a second year law student. During the early years of their marriage, Yvonne taught math at Carrington Jr. High School in Durham County, and at Mount Vernon High School in Fairfax County, Virginia. After Jerry completed his active duty in the marines, the Rutledges returned to North Carolina to make their home. When the Rutledge Law firm opened its doors in 1978, Yvonne became the office manager, legal assistant and secretary. Yvonne continues to work in the law office where she manages the daily operations of the firm and assists in the management of case calendars, client scheduling, and serves as licensed notary public. Additionally, Yvonne prepares the tax services provided by the Rutledge Law Firm. Since returning to North Carolina, Yvonne has been an active member of Friendship Baptist Church in Germanton where she plays the piano, teaches Sunday school, and works with the Baptist Women. Yvonne served for fourteen years as a member of the Stokes County Board of Education. She was also a longtime board member of both the Stokes County Arts Council and the Stokes County Historical Society.